Robert (Bob) passed away Monday, November 19, 2018 at the age of 91 in Charlevoix, MI. He was born June 12, 1927 in Mason, MI to Orla and Ilah Maine. Bob was in the Army and completed his service in 1946. After the Army he worked for a John Deere dealership in Mason which began his love of the distinct green tractors. Bob's next line of work was in construction which included building some homes in the town of his birth and he even has a street there bearing his last name. Bob went on to work for MSU until his retirement doing maintenance for what at the time was known as married housing. Bob is preceded in death by his parents, his wife Ruth and his dear friend Cheryl Pittman. He is survived by his brother James W. Maine (Jean) of Traverse City MI, niece Debra (Mark) Borst of Mears MI and niece Vicki Prueter of Mesa, AZ. Special thank you to the staff at the Georgia House in Charlevoix who took good care of Bob the last few years. Graveside service will be held at 1 p.m. on Tuesday, November 27, 2018 at Maple Grove Cemetery, Mason, MI. 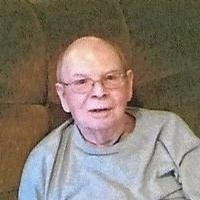 Funeral arrangements are being handled by Hastings Funeral Home in Ellsworth MI.